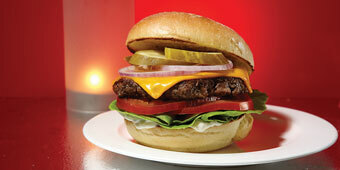 A half a block from the State Capitol, DLUX serves posh burgers in a laid-back atmosphere just off the Square. At DLUX, our burgers range from The Standard (the best classic burger around), to creative, chef-driven burgers like the Farmhouse, topped with bacon, monterey jack cheese, fried green tomato, baby greens, and house made tomato jam. No matter your tastes, DLUX has you covered with a diverse menu of bunned delights, boozy shakes, and perfect sauce-and-cheese laden French Fry creations. So, go ahead, close your eyes and point to the menu. No matter what you pick, it’ll be your new favorite. 99 problem but Brunch ain’t one. Celebrate Saturday and Sundays with a breakfast sandwich fit for a king and 2 to 8 cocktails, because you’re worth it. 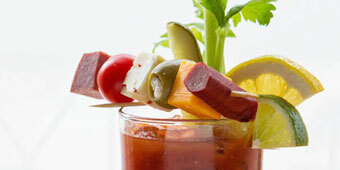 Besides our tasty food menu, bottomless mimosas and a DIY Bloody Mary bar are more reasons why DLUX’s Weekend Recovery Brunch is one of the most popular weekend brunches downtown.